Welcome to a world that is breathing and constantly changing. You must triumph in this unfinished world as a dangerous faction threatens all of humankind and what the gods have built. Team up with maximum three players in many co-op adventures as you discover this evolving world. Combine your strengths and shape your strategic role in the intriguing story as you triumph together. It's time to suit up and customize your gear, weapons and equipment. Rank up and defeat enemies as the beautiful but deadly world develops and expands. Be a part of your own Freelancer team in this live service experience, introducing new stories and challenges as Anthem grows. 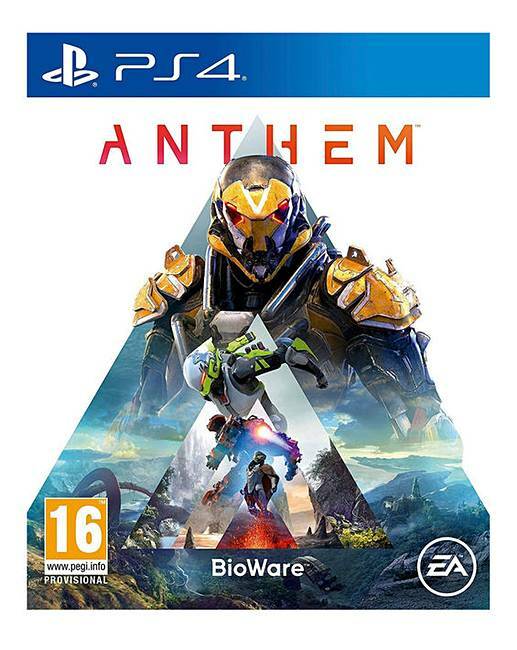 Are you ready to chart your path in Anthem on PS4?